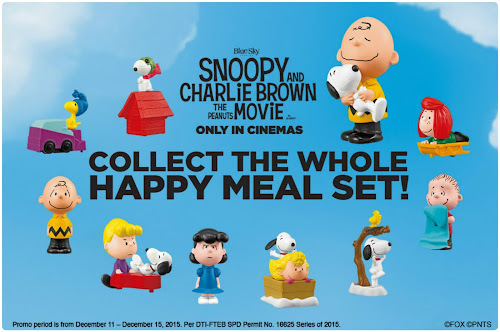 The Happy Meal toys this month is from the Snoopy and Charlie Brown the Peanuts Movie. From Dec 11-15, 2015, you can be one of the first few people to get the complete set of 10 Snoopy Happy Meal toys for only Php949. Each toy comes with a meal that can be redeemed until February 14, 2016. These pre-ordered set includes 3 Burger McDo, 3 McSpaghetti and 4 Chicken McDo Happy Meal Food Stubs. Each set also comes with a limited edition Snoopy Happy Meal Box. Out of all the 10 toys for the Snoopy Happy Meal, my favorite is Lucy! When I told Paul about it, he said Lucy reminds him of me maybe because I have been a bit grumpy these past few days. I also like Snoopy, Charlie Brown, Peppermint Patty, Linus, Sally, Schroeder and Woodstock They all look cute but I am still thinking if I will get them all. 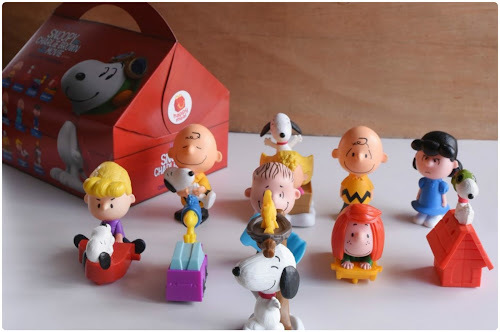 Classic Snoopy and Peanuts toys would be a great addition to my collection. By now, you should already know that I am a collector and lover of Happy Meal toys. During college days, I used to collect every single happy meal toys available until all the toys piled up. I had to let go most of the toys and find them new owners. Well now, I just collect those toys that I would like to keep. 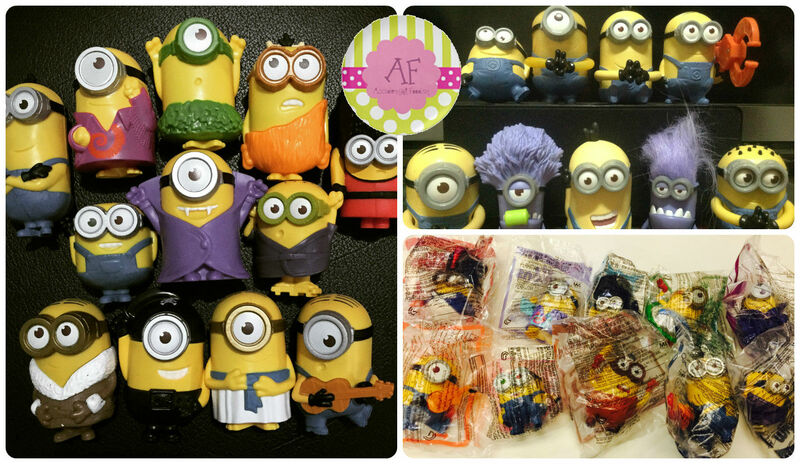 The Happy Meal toys from Despicable Me 2 and The Smurfs made it to this blog. I also collected the Minions Happy Meal toy collection from both the Philippines and US. There was a pre-order option for the Minions Happy Meal toys, but I didn’t learn about it sooner. So I bought all the toys during my birthday! I gave this set to my nephew and I collected another set for myself. I still have tomorrow to think about it. You may visit McDonald's PH Page for more details. You can also check this link or just watch the video below.